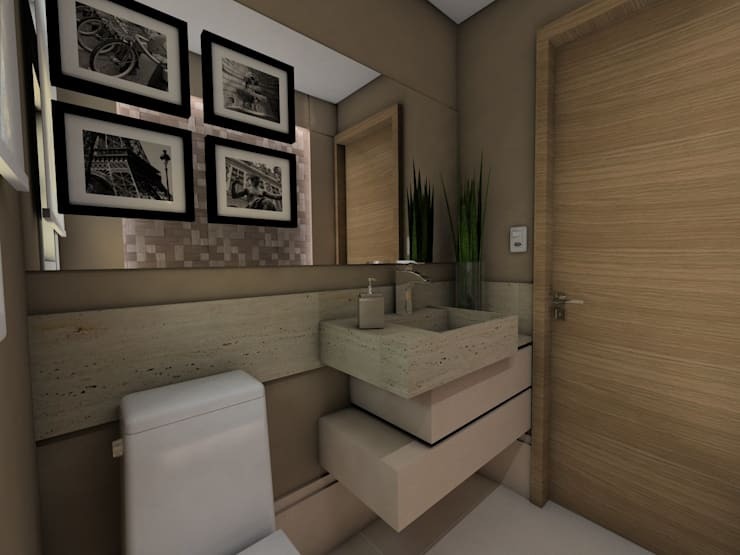 So you’re tired of your boring, ugly and outdated bathroom and in need of a modern space to relax and escape your work, responsibilities and family life. Well, in this homify feature, we look at the 10 most popular bathrooms of 2016, with the aim of inspiring you to create something just as tranquil, decorative and stylish in your own home. 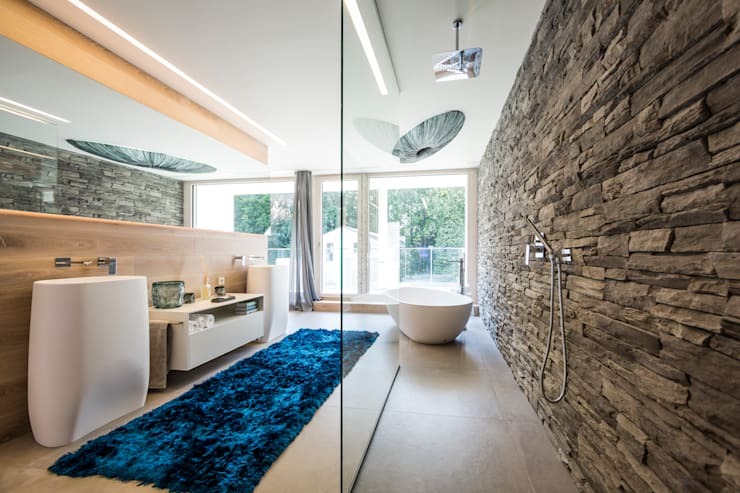 So whether you would like your bathroom to exude a revitalising atmosphere or a spa-like ambiance, these are some fantastic ideas to inspire your revamp. Opt for a stone wall to decorate your shower and take advantage of the sunshine from your large window, for a bathroom that is always fresh and humidity free. 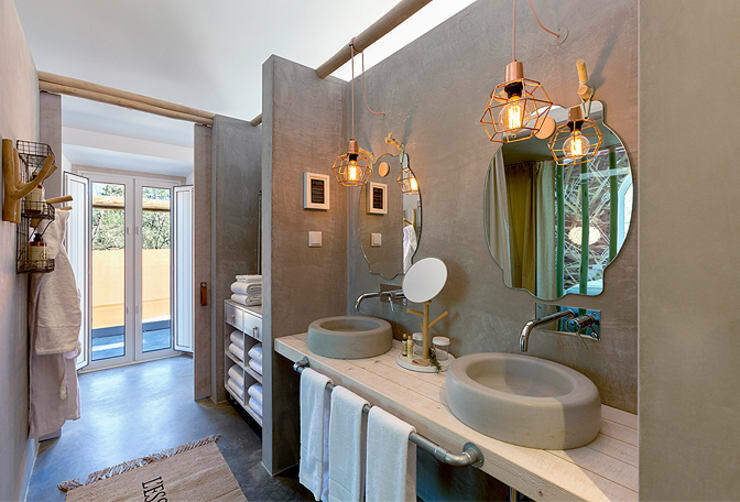 The exposed concrete walls and quirky lamps are a fascinating feature in this modern bathroom. 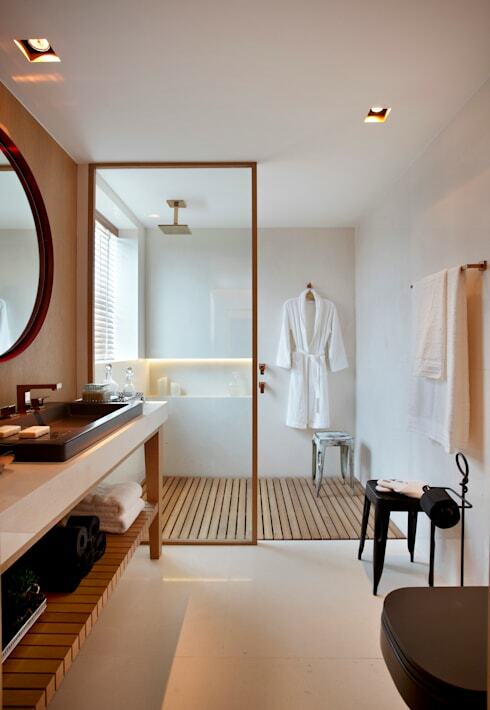 There's nothing more attractive to a visitor than a bathroom with a spa-inspired decor and these wooden elements along with the all-white walls is just perfect! 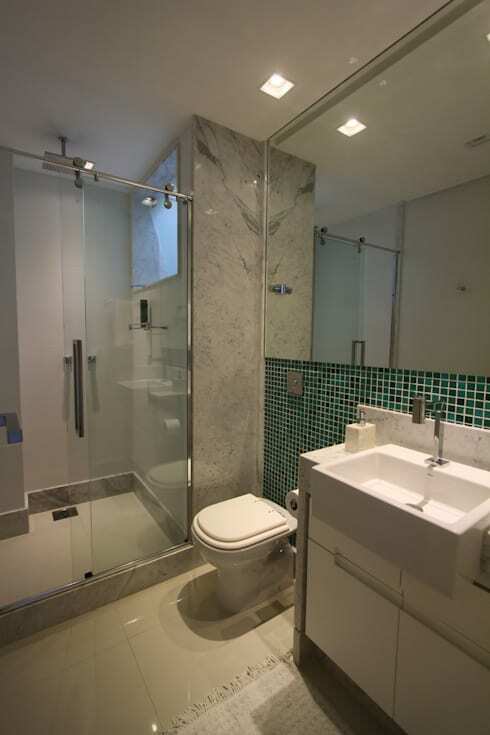 Incorporating some colourful mosaic tiles to the bathroom wall, along with elegant illumination and a large mirror can quickly enhance the space of an environment. 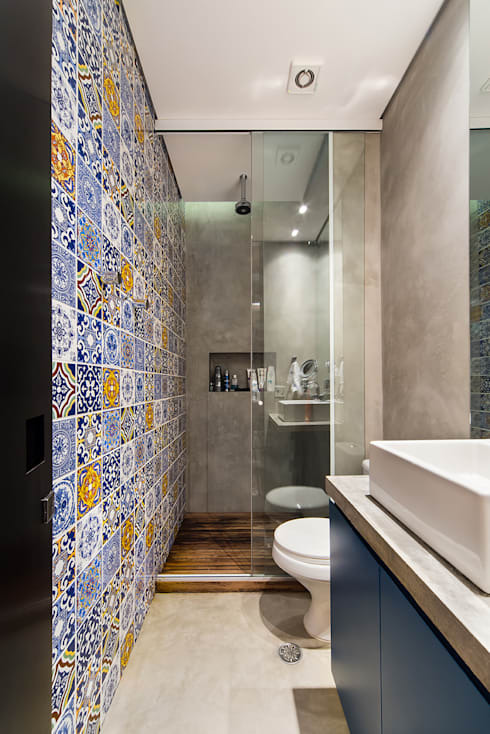 Bathroom designers say there's nothing more quirky and eclectic than a fabulous colour combination and dramatic tiles. 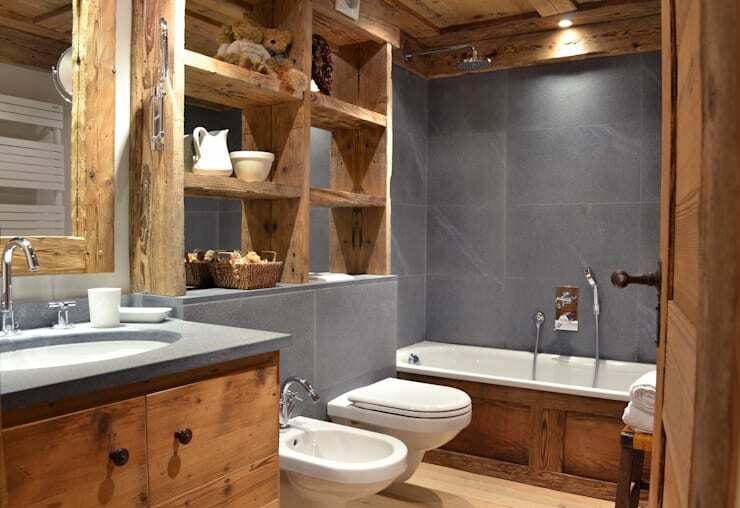 Wood has become one of the trendiest features in modern bathrooms for that must-have rustic decor flair. If you like the idea of incorporating a Mediterranean inspired decor to your bathroom, then colourful ceramic tiles are the way to go. The colour scheme of this bathroom may be neutral, but the addition of a unique sink and some decorative black and white photographs enhances that contemporary design edge. Shelving in your bathroom can work as decor and extra storage for your essentials. How about some wooden shelving for that rustic, textured design? 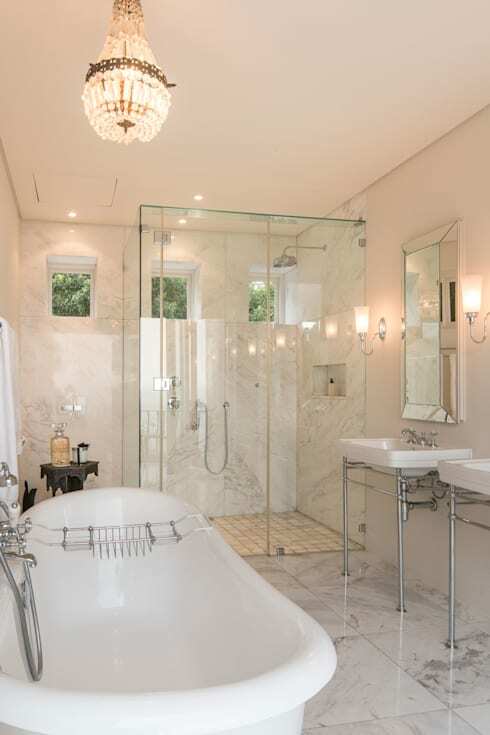 For a luxurious bathroom, add some gorgeous glazing, sleek fixtures and brilliant illumination. Now how about these: 9 incredible shower boxes for your bathroom!? 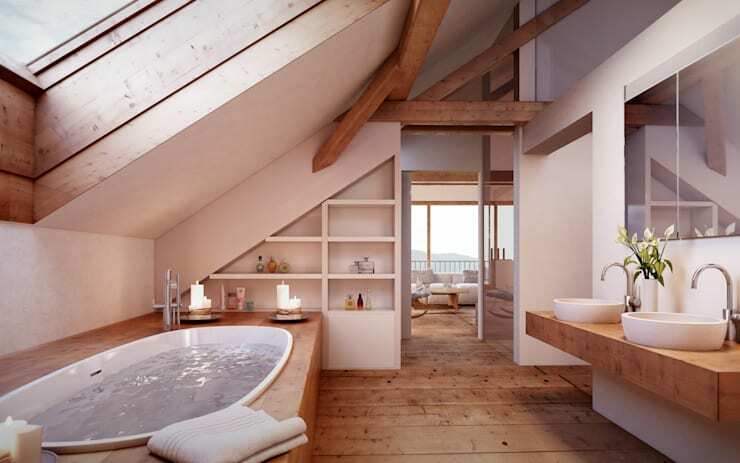 Do you have a favourite bathroom from this feature?